All companies face challenges with industry disruption. No matter if you’re in healthcare, education, retail or anything else, there are sure to be changes in the industry over the coming years. However, prepared companies can use that disruption to their advantage to continue to hone their customer experience. AT&T is a good case study of staying ahead of the trends while still working to provide an excellent customer experience. The company has led the charge to the new TMT industry that represents the world we now live in—telecommunications, media, and technology—and uses industry growth and change to create an improved customer experience. Customer experience is more than just a singular event—it can include the time the customer spends researching product options, browsing in store or online, and the actual purchase, not to mention what happens after the sale or service. At AT&T, customer experience is known as a journey that starts when a customer joins the company for a single product like phone or internet service. With that initial relationship established, the company can work towards its goal of creating long-standing trusted relationships that cover multiple devices. 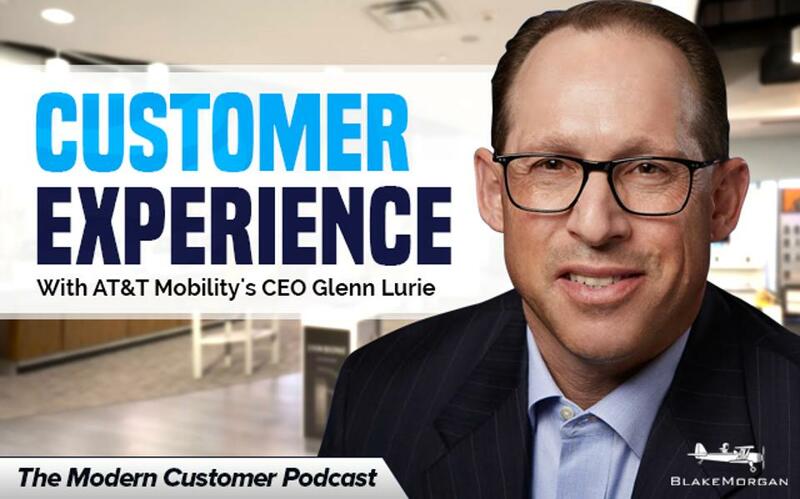 According to AT&T Mobility CEO Glenn Lurie, the company allows customers to define the customer experience and relies on feedback from them to create the best experience possible. Great customer experience starts from the top and won’t happen if executives can’t find ways to connect new technology and offerings to what their customers are experiencing. At AT&T, every employee is in charge of staying in front of industry disruption. By staying on top of trends, the company is able to talk to customers about nearly every aspect of their lives, from their phone and internet service to entertainment and a connected home and car. Putting in the time and money beforehand allows AT&T to be very involved in its customers’ lives, just like being aware of new travel trends or computer programs can help companies in other industries know how to best serve their customers. Aside from being aware of trends, customer experience can be shaped by listening to feedback and seeing how your organization is viewed by customers and outside groups. AT&T does this by keeping a close eye on how it is viewed from third parties like JD Powers and the current state of its net promoter score, but other companies could use social media metrics, Yelp reviews, or call center logs to measure feedback. Strong leadership plays a vital role in customer experience, especially as technology and trends change across the board. Although the methods may vary, the goal of customer experience should always be the same: to surprise and delight and create a real bond with customers. Companies truly invested in the customer journey are sure to see success as their industries continue to evolve.